Despite your best intentions, your WAN can go down. Natural disasters, technical failures, or a cut fiber optic cable can bring your business to a screeching halt. But it doesn’t have to be that way. If you build in a backup network, even in the worst of situations, your business will keep operating as normal. Among other options, using 4G as a backup network for your WAN is affordable and easy to install. If you’re interested in learning other ways you can build in failovers to ensure network reliability, check out our blog post on building redundancy into your network. How Does 4G Backup Work? 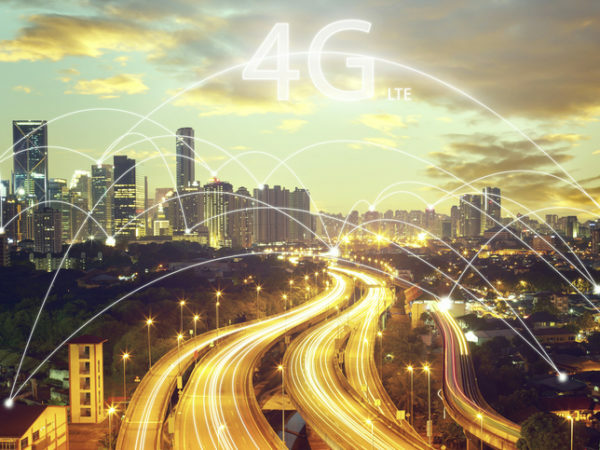 Having an installed 4G backup ensures that your business experiences continued internet connectivity when the primary link is unavailable by switching over to a high-speed 4G or 4G LTE network. The speed achievable by 4G will keep your network running smoothly and provides the same experience your users are accustomed to. Unless your business is located in a very rural area, the answer is yes. Basically, if you can get mobile phone coverage at an LTE level, you can get 4G internet as a WAN backup. Providers that specialize in 4G will make sure that you’re getting your 4G LTE Internet connection from the most reliable location for your business. With pricing on par with business-class cable internet, 4G LTE internet is affordable. Typically, a 4G wireless Internet connection will cost between $50 and $100 per month. That may seem expensive as a backup plan, but it’s no more expensive than a secondary high-bandwidth Internet connection. And, the peace of mind gained by knowing that your business has a fast and reliable Internet connection is certainly worth it. Unlike some slow, minimal bandwidth Internet backups, 4G LTE is fast. With upload and download rates of high-speed Internet, you won’t be disappointed. Typical download ranges for 4G are between 5-15 Mbps and upload speeds of 1-5 Mbps. While that’s not as fast as fiber optic, it’s enough to get the job done. There are also devices on the market that you can use to bond multiple connections for even greater speed. Unlike the extended installation times from most ISPs or the time it takes to run cables, installing 4G is fast. Most 4G internet can be installed in a couple of days. This speedy installation time can come in handy if you’re relocating or have remote sites and you need an internet source before your primary ISP can get the install done. As with choosing any ISP, you’ll want to figure out what your bandwidth needs are first. This way you make sure your plan will meet your needs. As a backup that you may not rely on frequently or reassess often, you may want to explore the next tier as well, since bandwidth needs aren’t going down any time soon. Once you’ve determined how much bandwidth you need, you can start to figure out your equipment needs. For most 4G internet, you’ll need at least one mobile broadband router and may need network extenders. The size of the office or building you’re installing will determine the equipment you need. Comparing the available service providers and the plans they offer for your needs should provide you with an estimated installation fee and monthly cost. When considering costs, also consider additional benefits or services offered. Features like 24/7 technical support may save you time and money down the road. As you’re planning your 4G LTE Internet backup and choosing your provider, remember that 5G is coming soon. That doesn’t mean you should skip 4G altogether and wait for 5G to be available in your area. It will take time for 5G to be available nationwide. Some carriers have started rolling out 5G in select cities, but those markets will act as test sites. Service and networks will be limited as they improve the infrastructure and technology for 5G. To make sure you’re prepared for the eventual switch to 5G, speak to prospective providers to learn more about their plans. No one wants to consider the worst-case scenario, but as a network administrator, it’s your job. 4G is a reliable and affordable WAN backup that will keep your network running with minimal impact to the business.